The Easter Bunny as far as we know is a folkloric figure and symbol of Easter, depicted as a rabbit bringing Easter egg. 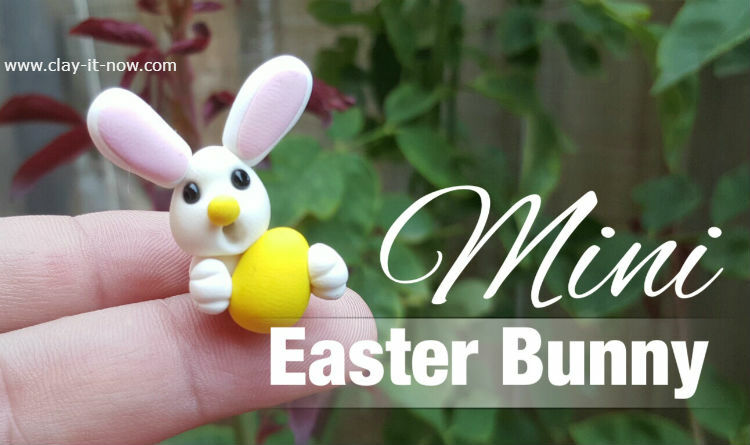 Anyway, we make this craft so you will have new idea (may be) to share with your kids or student to make pencil topper for activity during Easter holiday. 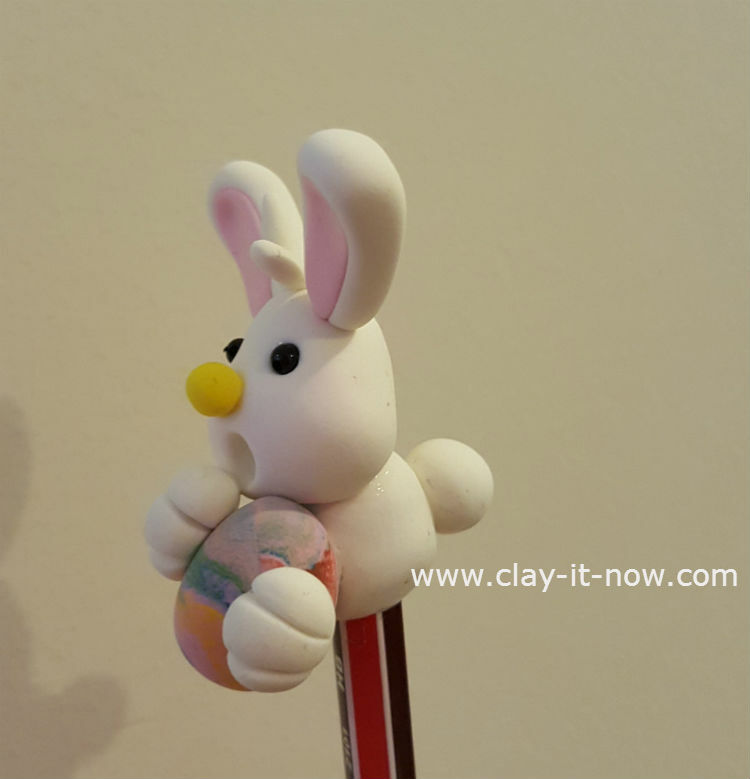 Alright, you might ask the type of clay we use. We use store bought air dry clay but we don't want to influence you with the clay brand we use. 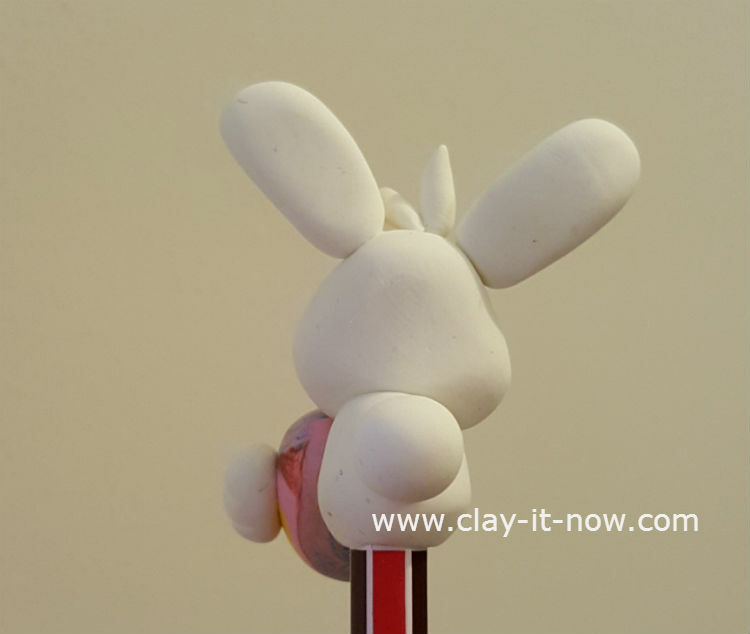 So, please visit our page "what clay to buy" if you don't have the clay yet before buying them. 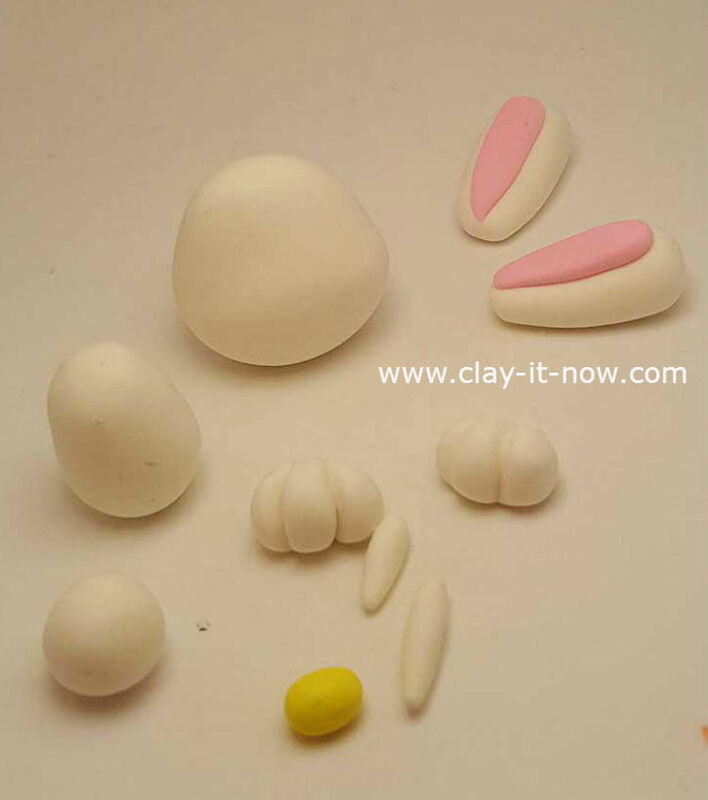 If you prefer to make your own clay, we have many type of modelling clay recipes for you to choose. Now, take your white clay and make the shapes like the above picture. Basically you have to make the head, body, hands, ears, hairs and tail with it. Also, a small ball shape in yellow color for the nose and 2 small teardrops shape for the inner part of the ears. You'll see that we don't make legs and arms - instead just the hands. Well, this is how we want the bunny to look like :) can't we use a little bit of imagination? Next, mix pink, yellow, red, blue and roll them together to make a small multi colored egg. Next, take the body part. Insert this to your choice of pencil. 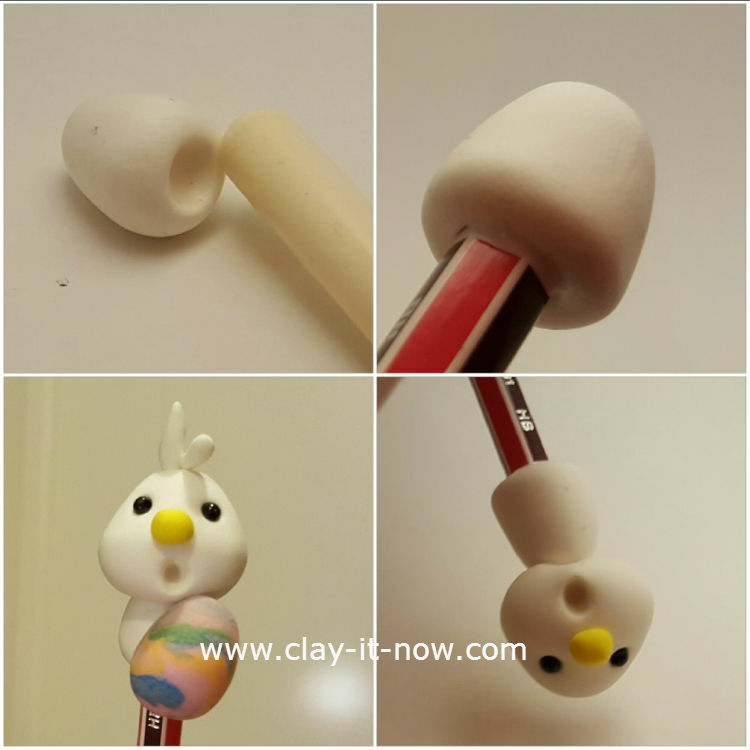 Use glue to keep the clay stick on the pencil. Paste the head on top of the body. And, paste the colored egg in front of the body. After that, add the tail, hands and the ears. 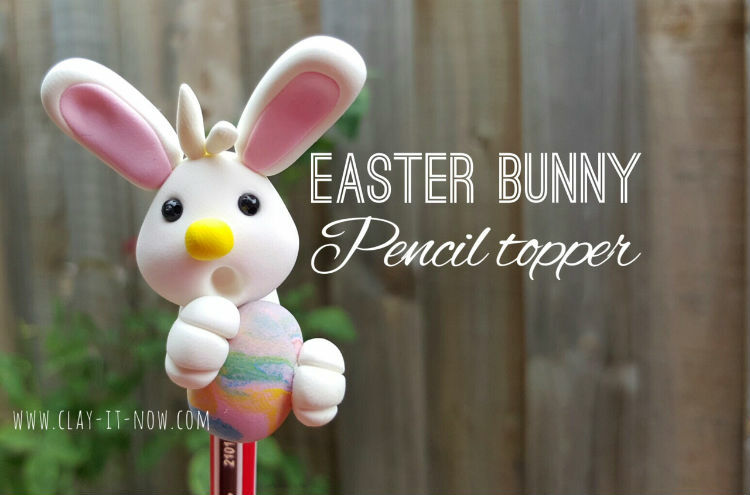 We have done with our Easter Bunny pencil topper. Isn't it cute? Below is the picture of it from the side and back.